Light, citrusy florals are ideal for the summer’s heat. The brisk citrus essences are as refreshing as a cool breeze under a shady tree and the floral notes evoke strolls through gorgeous garden blossoms. Wing and a Prayer, a perfumery in Northern California, has perfected this genre of fragrance and makes it 100% natural and affordable. The above photo is of their sampler trio; three 1/8oz perfumes of your choosing for $10. I’m sure many of you know how expensive natural perfumes are, so this is a terrific deal. Wing and a Prayer’s creator is Jane Cate and her daughter, Sarah, helps run the business side of their perfumery. Jane was kind enough to send me many samples of her fragrances, and while they are all very lovely, two really stand out as particularly exceptional. Bella, named after Jane’s grandmother Isabel, is an excellent interpretation of a citrusy floral. Bergamot and lemongrass fulfill the citrus aspect, and meld into a delicate verbena scent that is akin to L’Occitane’s Verbena Perfume Extract which I adore, but is now discontinued. I rarely use my little L’Occitane Verbena bottle as I don’t want to use it up, but now that I have discovered Bella, I don’t need to horde it anymore. Verbena is rather sharp so I want to clarify that while Bella smells of verbena, it is much rounder as it’s softened by delicate florals and a whisper of neroli. A dusty rose is the most apparent floral note to my nose, but it resides in the background giving body and smoothness to the citrus fruits. I have been wearing Bella a lot this summer. Early summer days in the Northwest can be a little cool which suits Bella fine, but she really blossoms in the full warmth of the sun. Flowers, my other favorite Wing and a Prayer fragrance is just as beautiful on a warm day. Gardenia predominates within Flowers, but like a playful surfer-girl rather than a sultry bombshell. Linden blossom persuades gardenia in this direction with its light, beeswax note. Additionally, linden blossom leans a bit green and citrusy which also heightens the flirtatious nature of Flowers. There’s something a little musky at the base of Flowers, like the sweet vegetal musk of ambrette seeds. Flowers is similar to Ajne’s Printemps, so if that’s out of your wallet’s comfort zone, Wing and a Prayer provides a more affordable option. Bella and Flowers are available at Wing and a Prayer’s etsy shop, $35 for 1.7oz. Disclosure: Samples from Wing and a Prayer were provided for this review. The opinions in this review are my own. I was not financially compensated for this review or any other. Flowers is defiantly the one I have had my eye on! It’s so refreshing to see all natural perfume at such a fordable price! yay! You should get Flowers, it’s perfect for summer! Jane sent me a sample of Tallulah B2 as well. I’ll wait to review it after the NPG event is over since I am not participating. I’m so glad to hear you are loving it! Thank you so much for such a lovely review. ‘Bella’ is very dear to my heart and I am so glad to hear that you love the fragrance as much as I do. As for ‘Flowers’ it was fun to create and see where my “nose” took me that day. I am very excited to try Flowers, Tallula B2, and Dorobella as the 3 in the sampler. I just dabbed a bit of the Tallulah B2 Jane sent, it’s very pretty and very musky!! I don’t have a sample of Dorobella, so please let me know what you think! I love Bella, it is my favorite scent by Jane & Sarah. I would have to say flowers it a close second though. 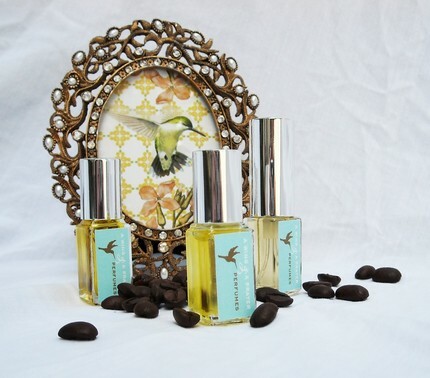 Wing and a prayer have beautiful perfumes at affordable prices for quality natural perfume. I also tried tahulla b2 and it is such a lovely soft floral musky perfume. Sorry I am typing on my phone while at the cabin. I noticed I totally misspelled Tallulah. Thank you for another wonderful review and to Jane & Sarah for being a kind and perfect etsy shop! P.S. They have gorgeous packaging with great attention to detail. Thank you so much for introducing me to this wonderful line Angie, I really appreciate it. I have been really impressed with Wing and a Prayer. They make a really nice body oil too, not sure if that’s on their site, but you should check it out if it is! Thanks for reviewing a few of these- I had never heard of this perfumer before, which is a bit odd since I live across the bay from Jane. I just ordered the sampler of Flowers, Berkeley, and Tallulah B2. I can’t wait to try them! Thank goodness for this Mystery of Musk project, or I might never have heard of it. I ordered samples of Dorothy, San Francisco and Morning Mist a couple of nights ago. It was my first ever Etsy purchase (and surely not my last as I want Tallulah B, and I just discovered Gabriel’s Aunt perfumes)! I can’t wait for them to arrive. I really love San Fransisco and want to get a bottle, but first a second sample since the one I’ve got is a body oil. After following the natural musk project I’m dying to try Tallulah B2, sounds like I would love it. Curious about Flowers too. There’s many more I need to explore as well! I do love Bella in their Body Oil, it is lovely! !